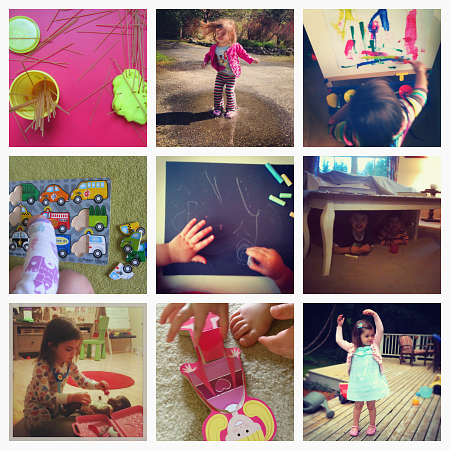 What are your favorite activities for 3 year olds? These simple activities aren’t just for 3 year olds, they are great activities and preschool learning games for older kids too! 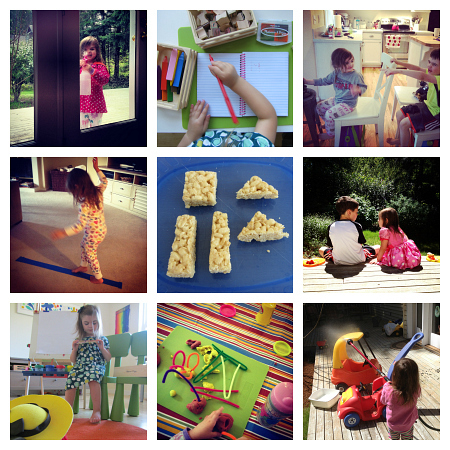 Finding the right activities for 3 year olds should be easy… but it isn’t. This summer my daughter and I have had a lot of time to play. Extra time in fact because she decided when she turned 3 to give up naps. With her brother home from school for the summer, my attempts at forcing the issue have been met with refusal. I am going to try again in a month when her brother returns to school but in the meantime, she has quiet time, earlier bedtimes and lots of simple activities like these peppered throughout the day. 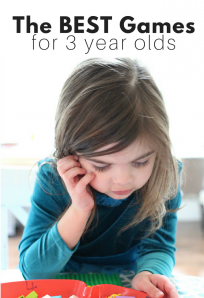 For more specific games for 3 year olds check out our post here with our favorites! If you have a younger child check out our similar list of 75 TV Free Activities For Toddlers. 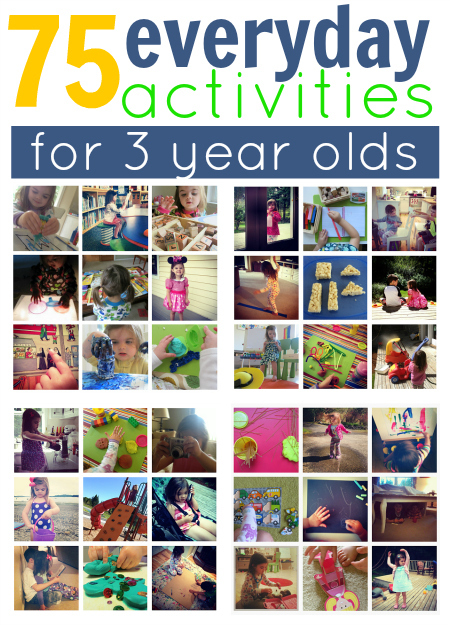 These activities for 3 year olds have been the bulk of what we’ve done this summer. Big projects are fun but day in and day out this is what we do. If you are a 3 year old teacher or a parent homeschooling preschool you must check out my fun and flexible preschool curriculum units here. Fill a table with books and read, read, read. Doodle with smelly markers on cardboard from your recycle bin. Take a walk and hunt for colors. Look at family photos together. Create with peel and stick jewels. 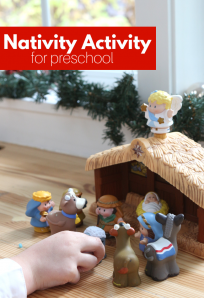 Need more preschool learning games and fun? Keep Reading! Play eye spy with favorite book . Play sports in the yard. Play The Cupcake Game . Make a balance beam out of painter’s tape and walk it! Play in a kiddie pool. Color with Color Wonder markers and coloring sheets. Play with Magic Nuudles . Play with Play-Doh and Duplo together. 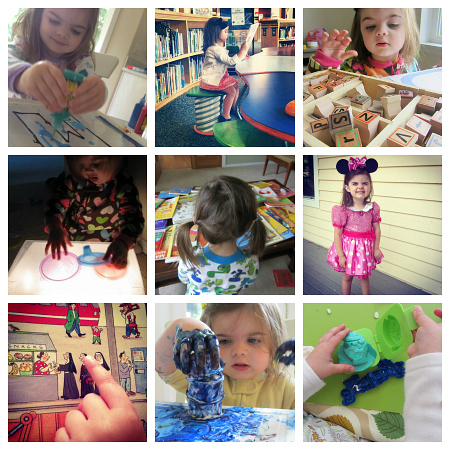 These are great activities for toddlers too! Play with a light table ( easy DIY here ). Play with cold cooked spaghetti. Play with water, rice, beans, gravel etc… in your water table . Make some window clings . Paint your toenails with kid-safe nail polish . Write in a journal with markers, stamps, and crayons. Learn about emotions with Mr. Potato Head. Draw with chalk on black construction paper. Go to a local elementary school and play at the playground. Take markers and paint onto the porch for art outside. Mix sidewalk chalk and other toys for pretend play outside. Hunt for magnets with a magnetic wand in a bowl of uncooked oatmeal or rice. Build a tower out of recycling. Backyard nature hunt. Tape painters tape sticky side out on a window or wall and have your child stick what they find on it. Make a ramp with cardboard and drive matchbox cars down it. Wash play cars, scooters, and bikes. Play with Play-doh and egg molds . Play airplane or train with your kitchen chairs. Wash windows with water and vinegar. Turn snack bars into shapes and practice using a knife at the same time. Play alone. Yes, it’s more than OK, it’s awesome to let kids play alone. We don’t need to entertain them 24/7 ! 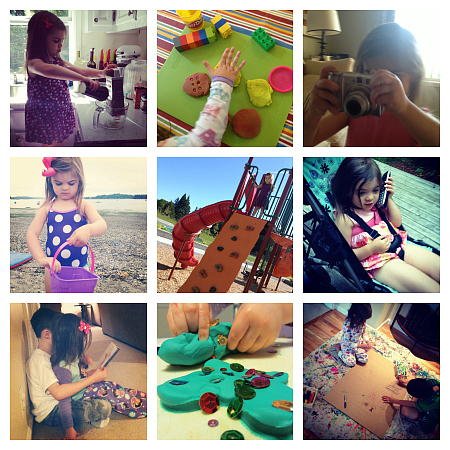 What is your family’s favorite everyday activity? Not listed? Add it in comments and tell us why your kids love it! Thank you for the fun reminders! Sometimes it’s easy to fall into similar patterns and it’s nice to mix it up with simple, but different fun activities. What great ideas to keep toddlers busy! Exactly! My 3 year old is watching Ni Hao Kailan right now , every day isn’t always perfect and that’s OK.
Luv the of handy fun! We play with shaving cream quite often on paper, a tarp, cardboard or even the tub. Adding food coloring and sponge brushes if we feel like making it rainbow fun. Terrific collection of ideas! Definitely sharing this! Feel free to use any of the ideas their for your website. I used to do this for hours when I was a kid! So much fun!! Dishwashing liquid some food colouring and a straw. Blow Bubbles above the height of the container then place a piece of paper over the top to make a cool bubbly picture. Allison, this is an amazing collection of activities. I have been doing a series of everyday activities and the different developmental domains. I just had to add a link to your activities to the end of my post on Cognitive Development. Of course, I have pinned & shared on fb, & twitter, too. Thanks for all the work that went into this post. What a great idea or series. So often we get wowed by the big shiny complicated things when really the basics are what kids need the most. Thanks for the creative Ideas I have a 3 year old brother and it gets hard to think of different things to do with him when I watch him!!!!! I just stumbled across your blog via Pinterest, but I have to comment! 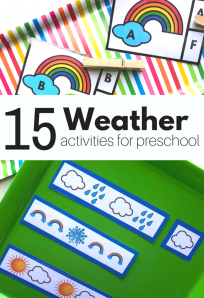 This is a great list of everyday activities to do with a preschooler, but my favorite part about the list is that it isn’t activities for “girls” or “boys”. 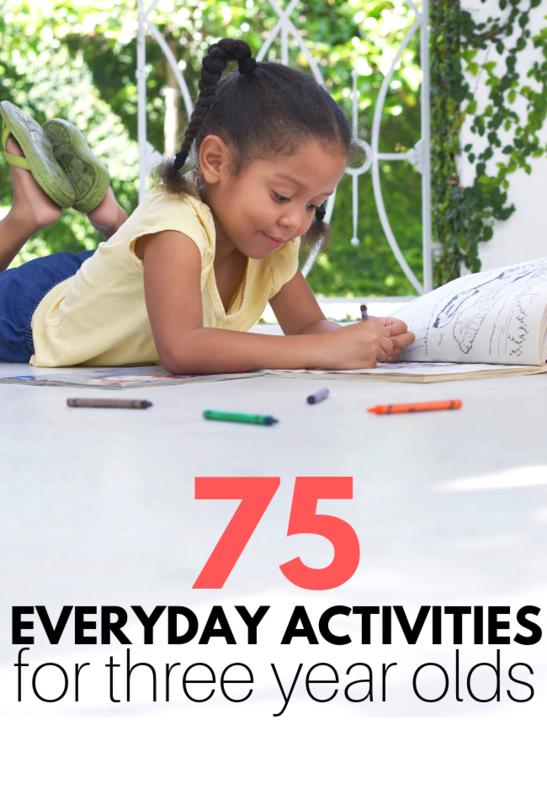 It is just a great list of kid friendly activities! Thanks so much for sharing! I have a hard time labeling children. I know and respect why some lists are like that but I prefer to just say kids. That’s great! I got boys that love to play with dolls. No need to label kids. They all love to have fun! A hard time labeling kids? Since when did calling a girl – a girl – and a boy – a boy – become labeling? It’s what they are!?!?!?! What is wrong with you people??? I am referring to labeling an activity as something a boy would like vs what a girl would like. I don’t do lists like that – I have taught far too many kids who have busted all gender specific activities for me ever to write something like that and feel like there was any girth to it. Me and my daughter see how many clothes we can get on until we’re big and round. Well, she did start this off saying these are activities with her 3 year old daughter. Yes, a lot of the activities don’t depend on the child’s gender, but there are girl specific ones in there. Unless, of course, you’re raising a boy on dress-up and dolls, although that would be unorthodox. So Barbie’s friend Ken and GI Joe aren’t dolls? When children play with dolls it’s an opportunity to discover how they interpret the world. Nothing unorthodox about that. My son has trucks, planes, duplo, Batman, an Elsa doll, multiple Disney figurines ranging from Buzz Lightyear to Cinderella…toys are just toys until we put a gender label on them. My girls love when I hide a surprise (a toy, utensil, sock, etc) in a pillow case and they have to stick their hand in and guess what it is without being able to see it. Love the idea of wrapping Christmas presents in the butcher paper! I have a little artist that’s just waiting to create some wrapping paper. Thanks! Sometimes it’s a lot of fun with my niece to take different colored construction paper, kids scissors, and a glue stick and just let them cut out different shapes and glue it to another piece of paper, they can also color it. If you’re worried about a mess, you can use a plastic table cloth. Also fun to have a mini chalkboard and paint with water and a paintbrush 🙂 going to some place like a park with ducks and feeding then is always a lot of fun. Its really great to see so many activities. all of the are fun learning activities. My stairs are carpeted. I put a single bed (foam) mattress on them. Kids have GREAT fun sliding down it! You could also use an open cardboard box. This is brilliant! I have a three year old niece and all she ever wants to do is play doctors with me. As much as I love her, I absolutely hate playing doctors now. My 3 year old has always loved tying knots in a 2 foot length of rope- tying chairs, trees, back of the seat in the car…keeps him busy and QUIET for hours! At some point I will get him a book of knots to see if he can follow the instructions. Thanks for the tips!! Duly noted! A simple game my kids have enjoyed since they were babies is you screw up a piece of paper and put it in one hand. Then you pass it quickly from one hand to the next and then suddenly stop with the paper in one of your hands and turn both your fists down. The child then has to remember which hand the paper ended up in. It’s great when you’re out and about and need sudden entertainment. If you have long-ish grass (clover works well), you can tie the end(s) of a blade of grass into loops and loop them together into a chain. With my three year old, I tie the knots and let her loop the next one in. After you get a long chain, you can decorate yourselves or a chair or a tree with the chains. When she gets older, she might be able to tie the knots herself. What about ball games. There is no mention of that. This is very cool but i wish it had more details and had more games rather than crafts. Thanks anyway. My 2.5 year old baby girl like cycling. She has a tri cycle. Water paints and colouring is also favoriout hobby.